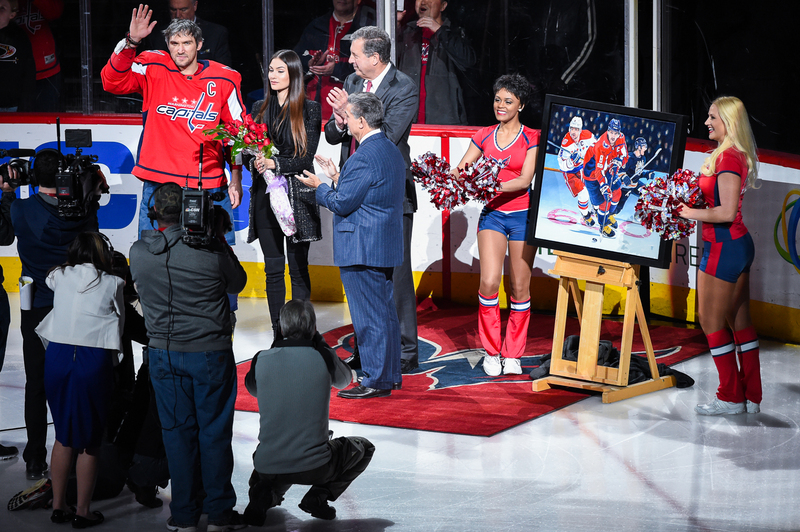 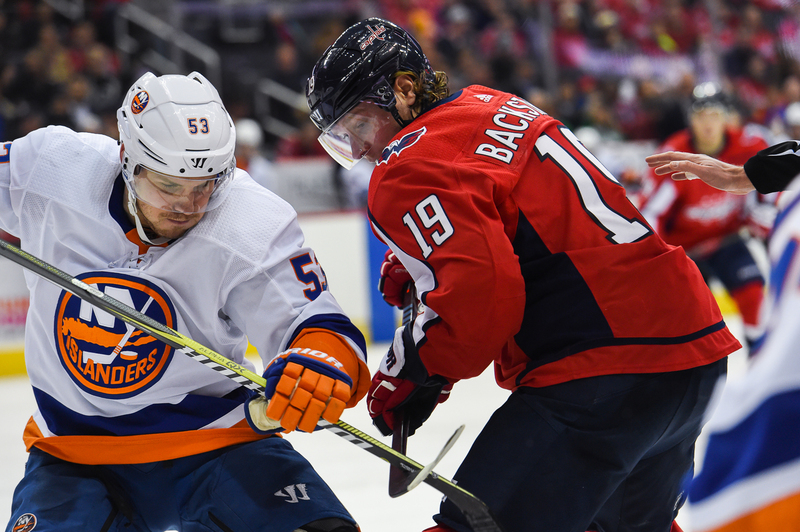 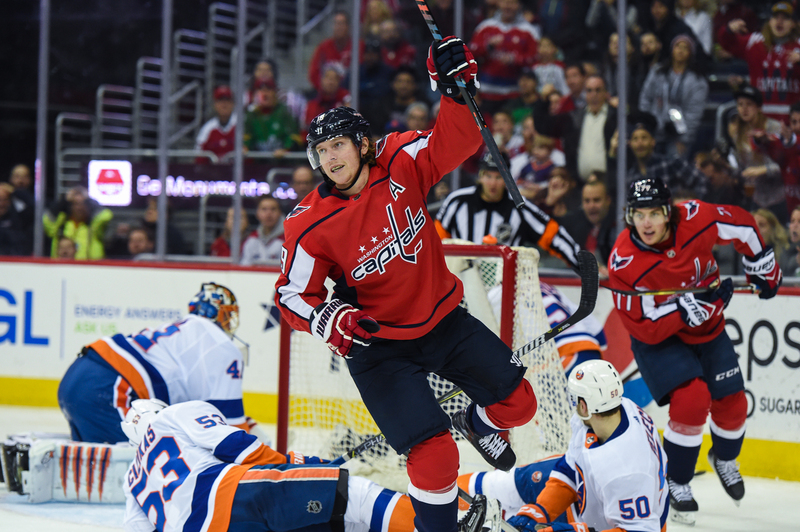 Just 24 hours after thumping the Islanders 7-3 in Brooklyn, the two teams squared off again as the Washington Capitals hosted New York at Capital One Arena, March 16. 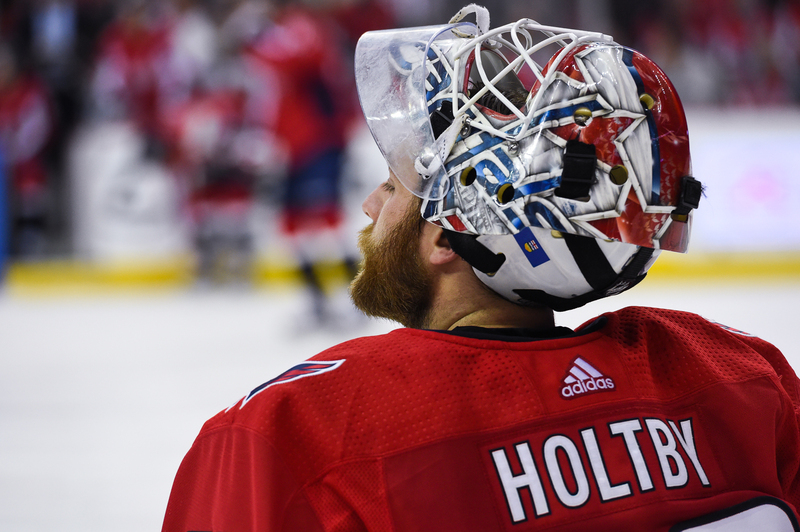 Franchise goalie Braden Holtby, coming off a rare rough patch in which he was pulled from net in three of six outings, got the start and did not disappoint — stopping 22 of 25 shots he faced to earn his first victory, a 6-3 rout, in nearly two full weeks. 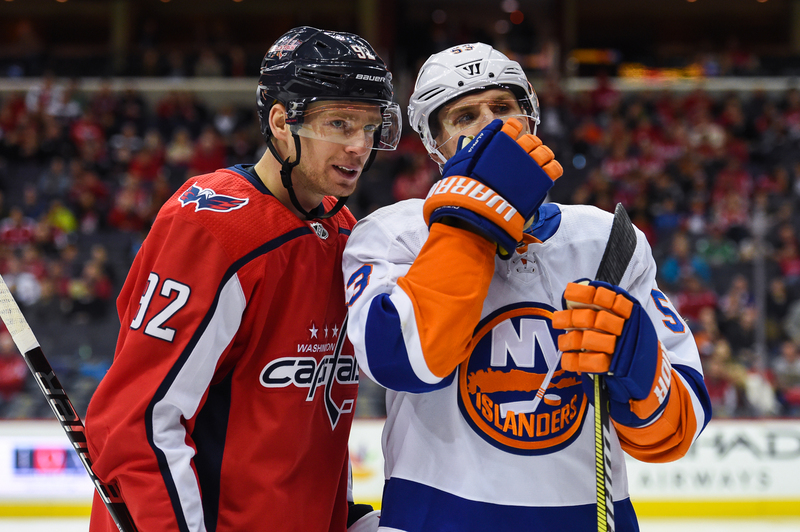 While Alex Ovechkin did not score any of Washington’s 13 goals during the home-and-home series against the Islanders, plenty of his teammates did. 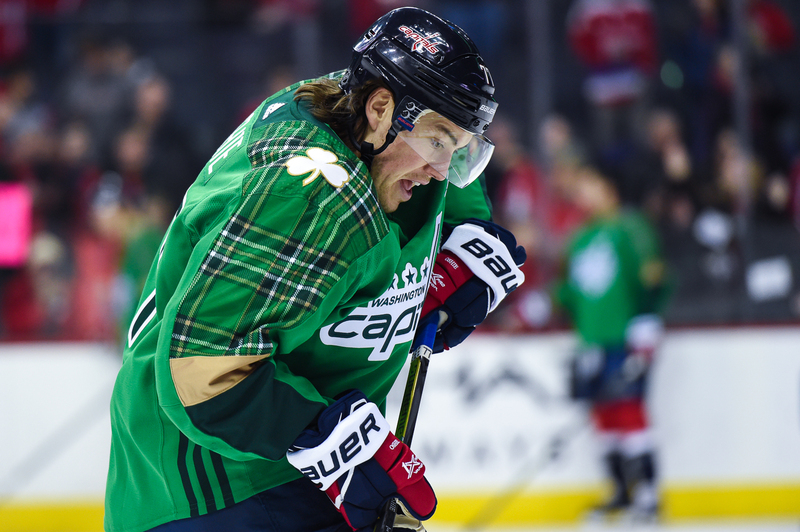 On this night, winger T.J. Oshie, center Nick Backstrom and defenseman Matt Niskanen helped the Caps to jump out early and never look back. 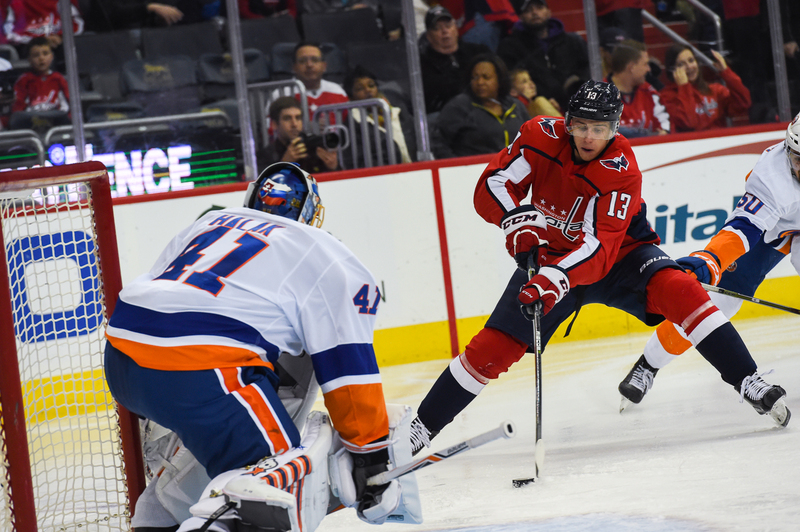 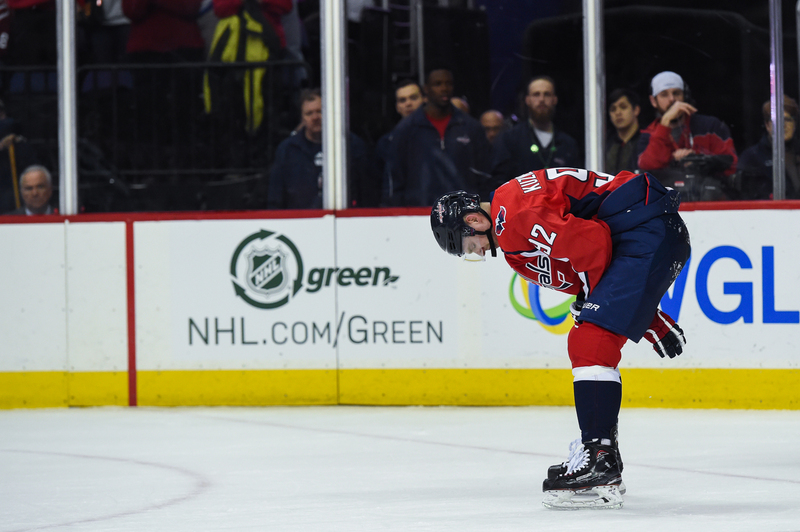 The only downside as Washington picked up a fourth-straight victory and regained sole possession of first place in the Metropolitan Division was the injury to center Evgeny Kuznetsov, who crashed hard into the boards during the second period and did not return. 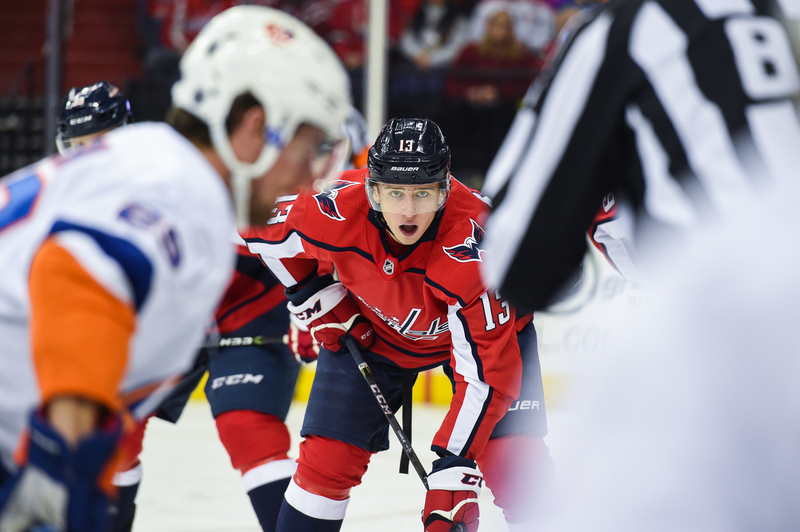 After the game, Caps coach Barry Trotz said Kuznetsov is now day-to-day with an upper body injury. 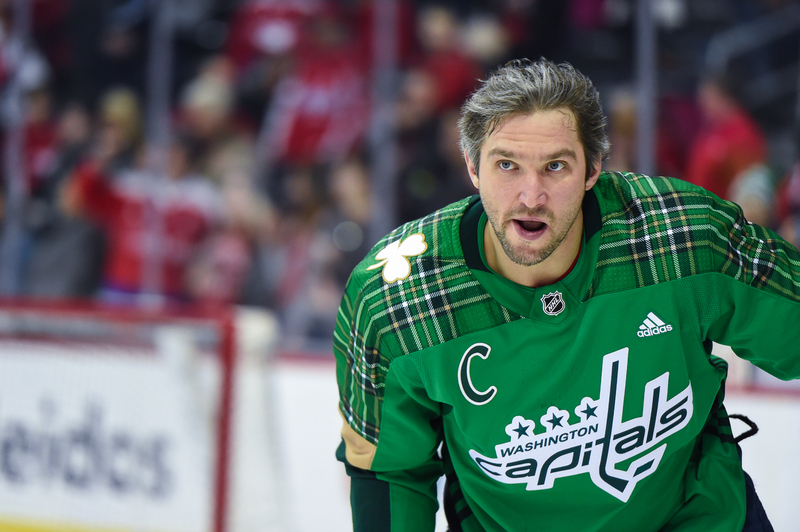 To see more of my photos from this game, head over to The Sports Capitol.